Taiwan has recently announced that they want to ban shark finning (the practice of removing a shark's fins and discarding the body at sea). I was under-impressed then and having recently discovered the sheer scope of Taiwan's declared Shark "bycatch" in the WCPFC, I'm even less impressed now. Having depleted their own seas, Taiwan's appalling distant-water fleets scour the global oceans and the Shark fins (certainly NOT the meat and skin!) are offloaded in distant ports and then airlifted home. That's where the massacre happens and I very much doubt than any Taiwanese fins-attached policy will be enforced that far from home. Plus, legislation like that is archaic and comes much too late for any endangered Shark species, the more as it has become painfully evident that most countries simply lack the resources, and the political will for ever monitoring and enforcing those rules. What is required now are fishing bans, not band-aid solutions. Shark blogger and graduate student David Shiffman is 24 hours and a few votes away from winning a $10,000 blogging scholarship for his shark research at the University of Miami -- but he needs your help now! David Shiffman gave a presentation on the power of online shark advocacy at the International Marine Conservation Congress earlier this year in Victoria, BC, Canada, even mentioning Shark Defenders by name. Let's prove him right and help David Shiffman to win this scholarship. "If I win, the money will be used to support shark conservation research. It will be supplies for my dissertation work, which focuses on the ecological importance of sharks to coral reef ecosystems. It will be used to support our lab's citizen science program, which has taken over 1,000 high school students and teachers into the field to learn about sharks and participate in an active research program. 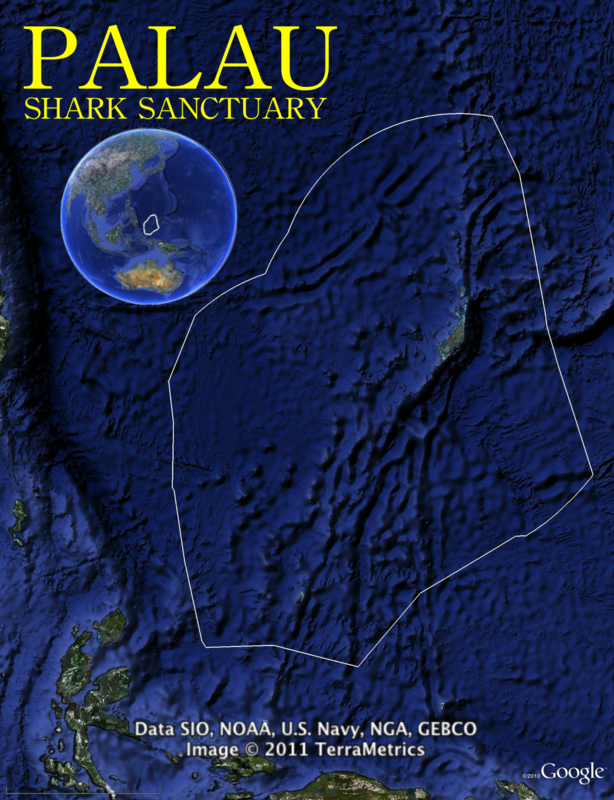 Additionally, I will adopt a satellite tagged shark in the name of the readers of Southern Fried Science, which they can name (through a contest) and follow on Google Earth." So please take a moment to follow this link and vote for David Shiffman. He is the only ocean conservation blogger among the finalists, so let's help him win. And after you vote, please post the link to Facebook and Twitter and ask your followers to vote for David Shiffman. Fiji’s reputation as a leader in marine conservation may be enhanced if a proposal made by the Ministry of Primary Industries’ Department of Fisheries and Forests advances next month. The agency is considering measures that would ban the commercial fishing and trade of sharks and their parts, including fins. The proposal is being drafted, and if it advances in the Cabinet, new legislation could be in place before year’s end. 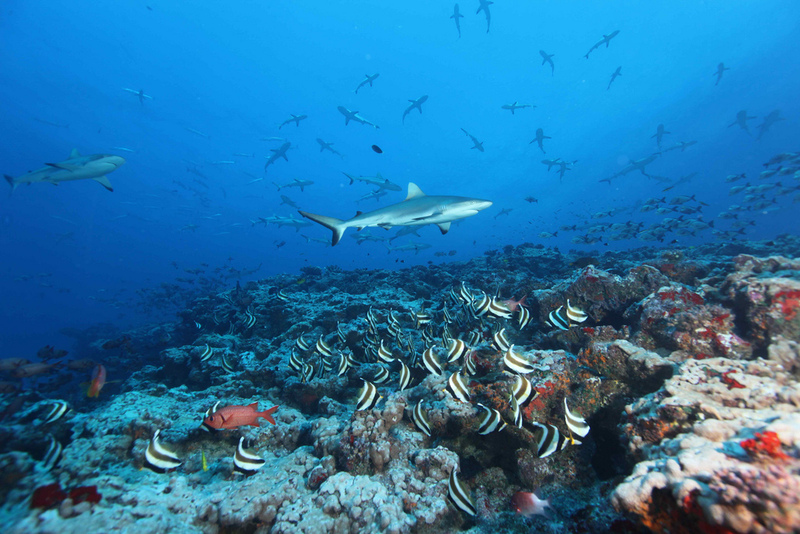 The government has the support of traditional leaders, as well as the Coral Reef Alliance (CORAL) and the Pew Environment Group, nonprofit organizations that last month launched a campaign to raise community awareness about the importance of sharks in Fiji. 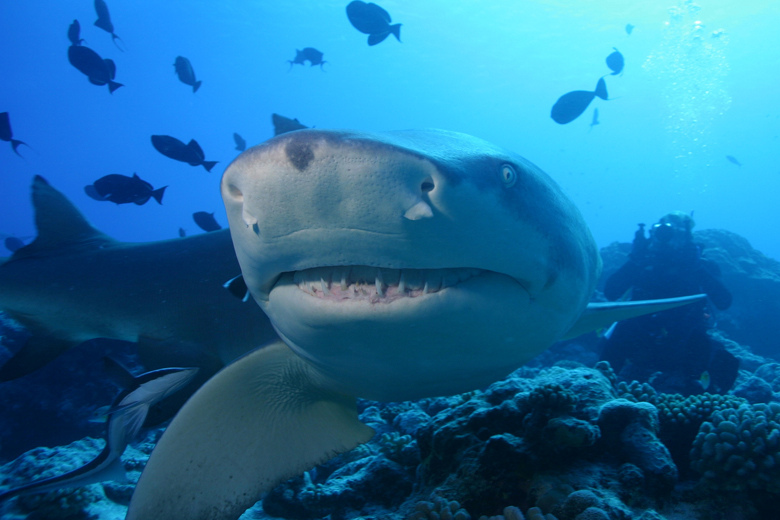 The proposed Fiji National Shark Sanctuary, encompassing the country’s 1.3-million-square-kilometer Exclusive Economic Zone, would be the first of its kind in Melanesia. It is modeled after similar conservation measures in the Marshall Islands, Palau, the Maldives, Honduras, the Bahamas, and Tokelau. 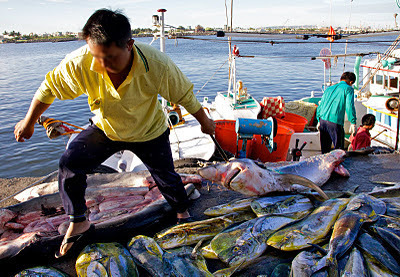 According to Fisheries Department annual reports, the country’s exports in 2003 were 180 metric tons of shark products. 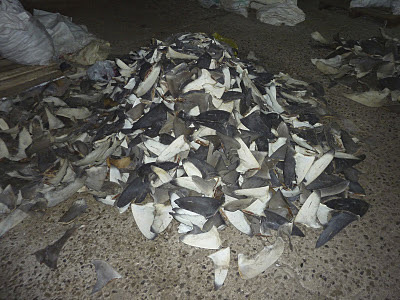 Most of Fiji’s shark fins are exported. “We don’t eat shark,” said Ratu Lalabalavu, who has expressed support for a national shark sanctuary in his capacity as the traditional leader of the Tovata Confederacy. “We feel that we are doing justice to something that is very much part of our life and our history in protecting sharks.” The heads of the Burebasaga Confederacy and Kubuna Confederacy also support the designation of Fijian waters for shark conservation. Sharks are significant to the health of coral reefs. “A reef without sharks is a sick reef,” said Demian Chapman, PhD, a shark scientist at Stony Brook University in New York, who in March provided an assessment of the shark fin trade for fisheries officials in Fiji’s capital, Suva. As top ocean predators, sharks regulate the populations of prey species and potentially the overall health of the ocean, according to Chapman. Falling populations of these animals might even lead to general coral reef decline. “There is a clear empirical association between thriving shark populations and healthy coral reef ecosystems,” he said. 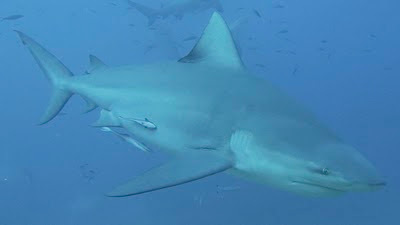 Chapman found that the shark fin trade in Suva includes the sale of thousands of fins from sharks that are on the International Union for Conservation of Nature’s Red List of Threatened Species, such as scalloped hammerhead (Endangered) and silky, blacktip reef, and bull sharks (all Near Threatened). His assessment also found trade in fins from shark species that live and breed on the reef, and are important for ecotourism. Earlier this year, the Australian Institute for Marine Studies found that reef sharks in Palau contribute nearly US$18 million annually to the national economy through diving and associated tourism activities. A similar analysis in French Polynesia found that an individual lemon shark has a lifetime value of more than US$300,000, a significantly higher figure than if it had been caught for its fins. “A living shark is worth far more than a dead shark,” said Rand. 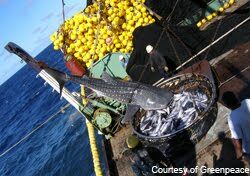 The world’s largest fish is threatened from tuna fishing boats in the western and central Pacific Ocean. Massive purse seine vessels with nets stretching up to a mile and extending 1,000 feet below the surface, cinch fish with a drawstring mechanism that prevents escape. These vessels frequently set their gear around whale sharks to scoop up the tuna that congregate underneath the larger fish. More than 10 percent of the whale sharks netted this way are killed, and the fate of those released is unknown. The United States operates one of the biggest purse seine fleets for tuna in the region and should lead efforts to protect this impressive species. Growing up to 60 feet and living 60 years or more, these gentle giants are filter feeders, eating microscopic prey and small fish. Although whale sharks have been classified as vulnerable to extinction, they are still being caught and killed, and their numbers are declining. Countries that fish for tuna in the western and central Pacific will soon have the opportunity to protect whale sharks for good. At the upcoming annual meeting of the Western and Central Pacific Fisheries Commission (WCPFC), governments will consider an important measure to stop setting purse seine nets around these fish along with other shark conservation measures. Take action! Urge the U.S. delegation to the WCPFC to support measures that prohibit intentional fishing around whale sharks and protect this gentle giant of the sea. 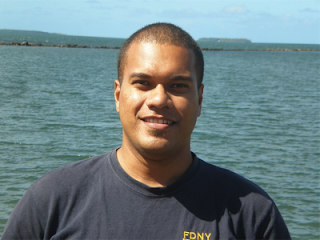 Our Champion for the shark conservation awareness campaign in Fiji is Manoa "The Sharkman" Rasagitale. During the week, Manoa is an environmental advocate with the Coral Reef Alliance, but on the weekends Monoa stars in his own reality television program, We Ni Yava. We Ni Yava is Fijian for "footsteps," and every Monday night viewers on MaiTV follow him as he goes on an adventure somewhere around the country. In this episode, Manoa goes diving with the bull sharks in Beqa Lagoon with AquaTrek Fiji. The Sharkman actually filmed two episodes in Beqa Lagoon. The first episode was learning to dive. The second episode was diving with sharks. SHARKS that lure tourists back to our waters in a multi-million-dollar industry are seeing red. Ten species of sharks highlighted by the International Union for the Conservation of Nature (ICUN) on its Red List, which gauges the level of threat against endangered wildlife species, have been identified as top-of-the-range in Fiji's fin trade. And among the ICUN's "near threatened" and "vulnerable" red-listed sharks are the country's main attractions in shark-related tourism activities. A study on the shark fin trade in Suva conducted by Dr Demian Chapman, the assistant director of science at the Institute for Ocean Conservation Science, Stony Creek University in New York, shows that a large amount of sharks killed for their fins are those that frequent dive spots which tourists visit for shark encounters. 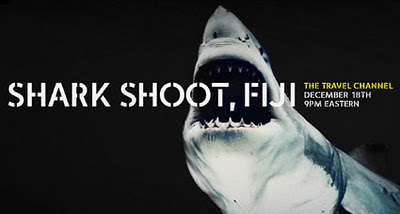 The alarming statistics collated after his assessment with officials of the Fisheries Department in March this year proved their theory that sharks from Fiji waters are being killed and traded in large volumes to China, where it is a delicacy among the growing population of the rich. His assessment based on visits to two shark dealers in Suva March 29-30 and on field reports from shark experts who did other researches on the global decline of these ancient predators also showed that locals are more involved in the trade than previously thought. It revealed that offshore species, sharks that live in deeper water and are targeted as bycatch in tuna fisheries, are the most killed. 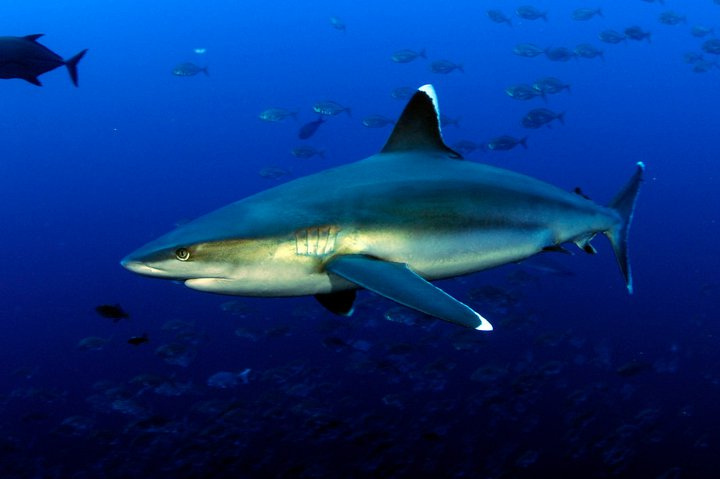 These include the silky shark, oceanic whitetip shark and blue sharks. "Visits to two fin traders in Suva indicate that a large volume of shark fins are being exported from Fiji, at least on the order of tens of thousands of fins per month," Dr Chapman said in his report. "Most of the fins I observed came from the three species. These are all epipelagic, offshore species that are being captured by longliners." Dr Chapman, who is among the first to successfully trace scalloped hammerhead shark fins from the burgeoning Hong Kong market all the way back to the sharks' geographic origin using groundbreaking DNA research, said the traders in Suva confirmed that most of the offshore sharks had their fins cut and their bodies left to sink to the bottom where they suffered agonising deaths. "I also observed a number of fins from inshore species. According to traders, these come from the coast of Fiji and are collected by local people who are paid by the dealers for shark fins and sea cucumbers," he said. "I estimated the total number of fins present at each dealer by counting the number of fins visible in digital photographs taken onsite. Since most sharks produce four marketable fins (dorsal, two pectoral and lower caudal), I divided the estimated total number of fins by a factor of four to estimate the total number of individual sharks killed. One dealer had approximately 1000 fins drying, which represents at least 250 sharks killed. "The dealer also had four large freezers full of frozen fins that were impossible to count. 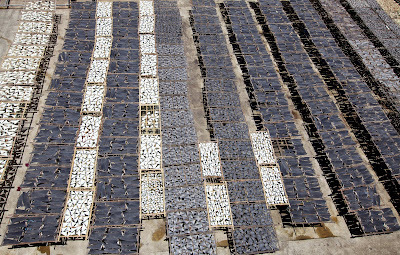 The other dealer had three very large piles of dried fins that I estimate contained a total of 10,000-12,000 fins and represented 2500-4000 dead sharks. The dealer indicated that they were exporting this volume on a monthly basis from Nadi International Airport to Hong Kong." After returning to the US, Dr Chapman's digital images were verified by researchers at the Stony Creek University and 10 shark species were confirmed among these fins. This accounted for 28.5 per cent of species found along the coast around Fiji. "They include offshore and inshore reef species, confirming reports that dealers are using sharks captured along the Fijian coast. One species listed as endangered and four listed as vulnerable by the International Union for the Conservation of Nature (IUCN) were found, indicating that species that are of conservation concern occur in the trade. The presence of three species that are important for dive tourism was also confirmed, highlighting conflicting use of these species in Fiji." 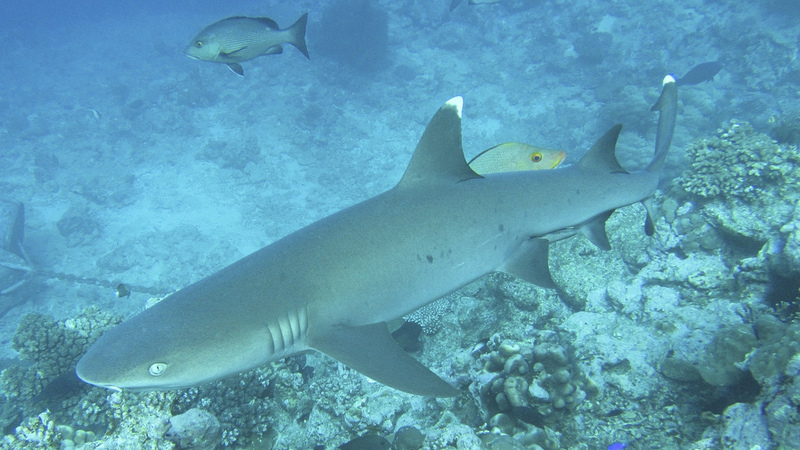 Ratu Manoa Rasigatale, who is spearheading an awareness campaign for the Coral Reef Alliance and Pew Environment Group to turn Fiji's waters into a shark sanctuary, said the statistics are of concern. "It is sad to note from Dr Chapman's assessmant that locals are heavily involved in the killing of reef sharks," said Ratu Manoa, dubbed the Sharkman for his efforts to spread the gospel of shark conservation to all levels of the community in Fiji. "We must do all we can to stop this trade and make sure that these sharks are not driven to extinction. "Without the sharks, our reefs will die." Fiji sharks on the ICUN's Red List are the scalloped hammerhead shark (endangered), oceanic whitetip shark (vulnerable), bigeye threasher shark (vulnerable), smooth hammerhead (vulnerable), sicklefin lemon (vulnerable), silky sharks (near threatened), blue sharks (near threatened), shortfin mako (near threatened), tiger shark (near threatened) and blacktip reef sharks (near threatened). 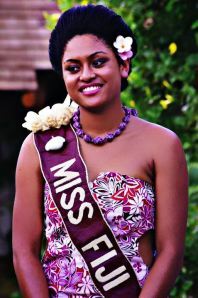 Written by Ilaitia Turagabeci and published in The Fiji Times on Monday, November 7, 2011. The Pew Environment Group has developed fact sheets on silky, porbeagle, and shortfin mako sharks, species assessed as vulnerable by the IUCN Red List of Threatened Species. The information on these important species is being released ahead of next week's meeting of The International Commission for the Conservation of Atlantic Tunas (ICCAT) in Istanbul, Turkey. On Monday, October 24, Shark Hope premiered at the Village 6 movie theaters in Suva, Fiji. Produced by the Coral Reef Alliance and The Pew Environment Group’s Global Shark Conservation Campaign, the film is an entirely Fijian effort that details the plight of sharks in Fiji, focuses on the importance of sharks to Fiji’s culture, economy and marine environment, and efforts to create a Fiji National Shark Sanctuary. The film stars local Fijian celebrity Ratu Manoa Rasigatale and the Gone Turaga Bale na Tui Cakau (Paramount Chief of Tovata Confederacy), Ratu Naiqama Lalabalavu. Pew Environment Group and Coral Reef Alliance Staff (from left to right): Moala Tokota'a, Helen Sykes, Jason Vasques, Manoa Rasagitale, Angelo Villagomez, and Kelly Thomas Brown. Attorney General (Acting Prime Minister) Aiyaz Sayed-Khaiyum told guests last night at the launch of a locally shot shark conservation documentary, Shark Hope, that it would greatly assist government in its decisions on future policies regarding sharks. Mr Sayed-Khaiyum recommended the documentary to guests because it would provide them with a lot of information on the issue of shark conservation. The mission now will be to get as many people to see the film as possible. If you are reading this, please do your part by sharing the Youtube link on your Facebook, Twitter, blogs, and other social networking websites. Shark Hope will be released online early next week. To give you a taste of the film, here is a preview. This clip contains undercover footage of a shark fin warehouse in Suva, Fiji. 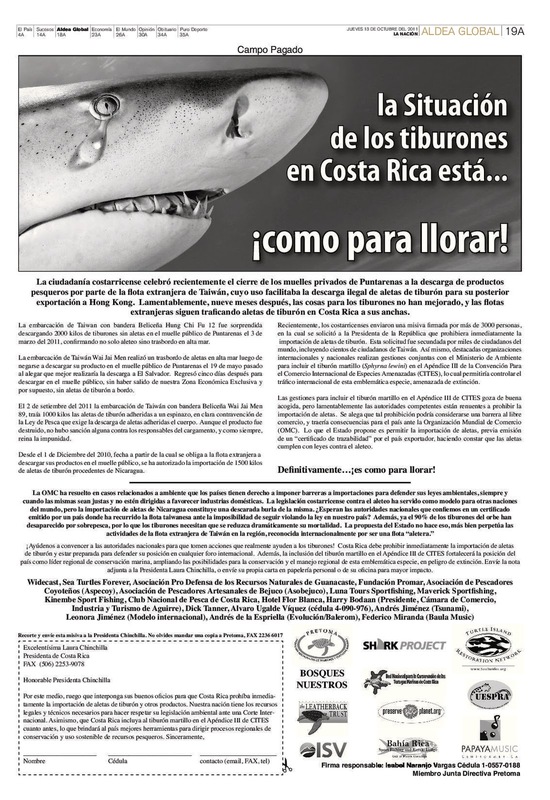 The global campaign in defense of sharks has picked up considerably in the last two or three years. What was once a niche issue — a sharp decline in shark populations because of soaring demand for their fins in parts of Asia — has gone mainstream. You painstakingly spend hours coming up with a script, spend weeks filming, agonize over picking the perfect music, time all the edits for maximum audience reaction, and then a seven year old kid spends three minutes creating a video blowing all other shark videos out of the water. Tip of the hat to Shark Divers. Fear them or feel sorry for them. Emotional attachments will mean nothing if we are not aware of their plight. 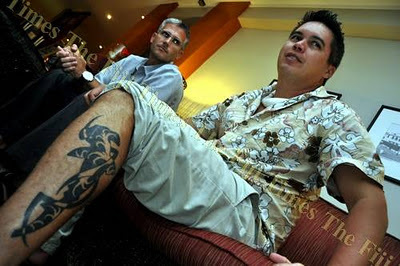 "Our youths need to regain and protect their Pacific identify. The future will be bleak if youths are disjointed from their natural environment," he said. "The sea, the land, our traditional medicine, we need to regain that knowledge so that our children know and learn the rhythms of life. "The young, and I also mean those in their 40s and 50s, are already disjointed. Imagine the younger generations. "If the protection of sharks stand a chance going into the future, we need to rectify this. For conservation efforts to be successful, the young need to regain that knowledge. The knowledge has to be passed down." TEN months after releasing a landmark report revealing the planet's top 20 shark-fishing catchers, the Pew Environment Group has expressed concern about new images and video taken in Taiwan that detail the expansive and unregulated nature of shark fishing globally. The depictions show fins and body parts of biologically vulnerable shark species, such as scalloped hammerhead and oceanic whitetip, being readied for market. "These images present a snapshot of the immense scale of shark-fishing operations and show the devastation resulting from the lack of science-based management of sharks," said Matt Rand, director of global shark conservation at the Pew Environment Group, in a press statement. "Unfortunately, since there are no limits on the number of these animals that can be killed in the open ocean, this activity can continue unabated." Sharkman Manoa Rasigatale said the trend was alarming, that's why Fiji needed to push for legislation to curb the indiscriminate killing of these ancient predators. DAKUWAQA will be a happy fish, so too his keepers. The ancient shark god ù who Fijians believe still roams our waters and upholds his end of the bargain to protect his people and their livelihood in the reefs ù may finally see his deal with humans on paper. The Ministry of Primary Industries' Department of Fisheries and Forests will forward a proposal, which is being drafted, to Cabinet soon for legislation to ban the commercial fishing and trade of sharks and their parts, including fins. 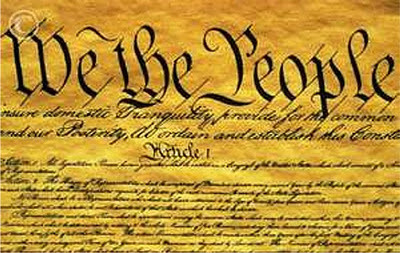 If it is passed, new legislation could be in place before year's end. The Gone Turaga Bale na Tui Cakau, Ratu Naiqama Lalabalavu, who has a strong traditional link to the shark god, has given his support for a national shark sanctuary in his capacity as the traditional leader of the Tovata Confederacy. His yavusa Ai Sokula (clan) comes from the lineage of the Gone Mai Wai, whose twin was a shark and is known as Dakuwaqa, also referred to as the Gone Mai Wai. Ratu Naiqama's Cakaudrove Province is already a shark sanctuary, from the Somosomo Strait across to the other side of Vanua Levu and to the furthest islands North. The people of Cakaudrove have an obligation to protect the sharks, who they believe, will in turn protect them and the reefs which they feed on. 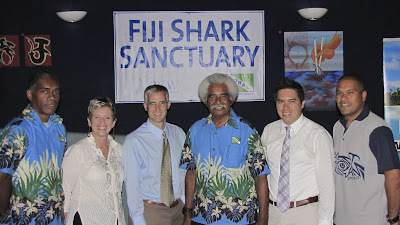 Like Ratu Naiqama, the heads of the Kubuna and Burebasaga confederacies also support the designation of Fijian waters for shark conservation. Traditional leaders have given their support to the Fisheries Ministry, as well as the Coral Reef Alliance (CORAL) and the Pew Environment Group, non-profit organisations that next week will step up the campaign to raise community awareness about the importance of sharks in Fiji. Matt Rand, the director of Global Shark Conservation for the Pew Environment Group, said a national shark sanctuary in Fiji would be a huge victory "for these animals". "This action would close down a major hub in the Pacific for the trafficking of fins and highlight Fiji as home to the world's second-largest shark sanctuary," he said in a joint statement from CORAL and Pew. The proposed Fiji National Shark Sanctuary, encompassing the country's 1.3-million-square-kilometre Exclusive Economic Zone, will be the first of its kind in the West Pacific. It is modelled after similar conservation measures in the Marshall Islands, Palau, the Maldives, Honduras, the Bahamas, and Tokelau. 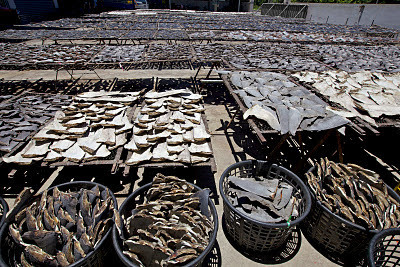 According to the Fisheries Department annual reports, the country's exports in 2003 were 180 tonnes of shark products. Most of Fiji's sharks' fins are exported. Traditionally Fijians don't eat sharks but this has changed in recent times with shark meat being used for fish and chips and sold to unsuspecting people. With the rise in the trade of fins, shark meat used to be sold openly at the Suva Market. This changed slowly as awareness campaigns led by Sharkman Ratu Manoa Rasigatale and members of CORAL went across the country to schools and villages. "We made a presentation to all the roko from around Fiji at their meeting at Nadave and they have given us their 100 per cent support. We are gaining momentum and look forward to the day we have legislation to protect sharks," said Rasigatale. "Fijians must treasure this cultural link with the sharks. They have protected us all this time and it is time we stood up to protect them from the greed of people." Rick MacPherson, the conservation programs director at CORAL, said Fijians have a long history of supporting locally managed-marine areas. "This strong cultural connection to the reefs makes our job easier as we work alongside the Fijian community to develop an effective sanctuary for sharks that benefits both the marine ecosystem and the people who rely on it," he said in a statement. "This shark movement is an excellent opportunity for us to use our resources to unite a nation to protect marine ecosystems." 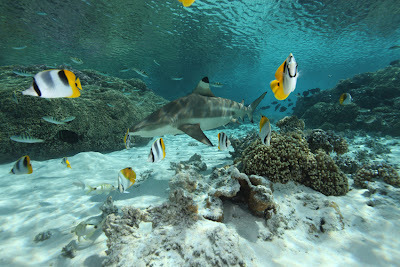 Sharks are significant to the health of coral reefs. 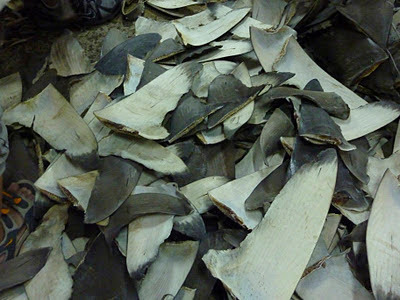 Shark scientist Demian Chapman, PhD, from the Stony Brook University in New York, provided an assessment of the sharks' fin trade for fisheries officials in Suva and highlighted the need to protect the ancient predators. "A reef without sharks is a sick reef," Mr Chapman said in the statement. As top ocean predators, sharks regulate the populations of prey species and potentially the overall health of the ocean, according to Mr Chapman. Falling populations of these animals might even lead to general coral reef decline. 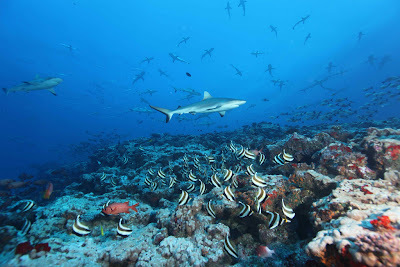 "There is a clear empirical association between thriving shark populations and healthy coral reef ecosystems," he said. 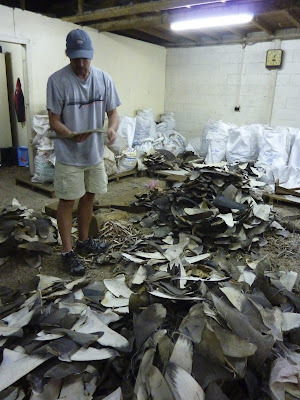 Mr Chapman found that the sharks' fin trade in Suva includes the sale of thousands of fins from sharks that are on the International Union for Conservation of Nature's Red List of Threatened Species, such as scalloped hammerhead (endangered) and silky, blacktip reef, and bull sharks (all near threatened). His assessment also found trade in fins from shark species that live and breed on the reef, and are important for ecotourism. Earlier this year, the Australian Institute for Marine Studies found that reef sharks in Palau contribute nearly US$18 million annually to the national economy through diving and associated tourism activities. A similar analysis in French Polynesia found that an individual lemon shark has a lifetime value of more than $US300,000, a significantly higher figure than if it had been caught for its fins. "A living shark is worth far more than a dead shark," said Mr Rand. On Monday, the awareness campaign steps up with its launch at Suva's Village 6 Cinemas by the Attorney-General, Aiyaz Sayed-Khaiyum. It includes the screening of a 30-minute documentary called Shark Hope. It is about the plight of Fiji's sharks and efforts to protect them, chronicles their importance to Fiji's culture through myths and stories, as well as the critical role they play in maintaining a healthy marine environment. The film features Ratu Naiqama and Sharkman Rasigatale, a Fijian cultural icon, former senator, and reality television personality. Our petition to the Obama White House asking to ban the sale, trade, and possession of shark and shark parts, including shark fins, has reached the all important threshold of 5,000 signatures. Thank you to everyone who signed and to the dozens and hundreds of you who tweeted, shared, and emailed this around. As you know, Toronto City Council will be voting on the motion to ban shark fins this MONDAY, October 24th. This is the final opportunity to submit letters to council asking them to support the ban. If you live in Toronto, your letters will have the most impact on councillors, so please, take a moment to write a letter and please ask your neighbors to do the same. The letter can be as long or as short as you like. Ask them to support the ban, if you are a Toronto resident, please include your address so that your Councillor knows their ward supports shark conservation. The entire process should take a few minutes and all the email addresses are listed at the bottom of this page. 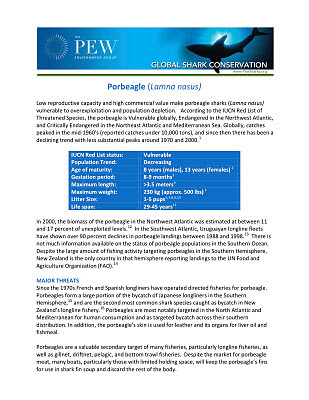 Ten months after releasing a landmark report revealing the planet’s top 20 shark-fishing catchers, the Pew Environment Group is expressing concern about new images and video taken in Taiwan that detail the expansive and unregulated nature of shark fishing globally. The depictions show fins and body parts of biologically vulnerable shark species, such as scalloped hammerhead and oceanic whitetip, being readied for market. The report by Pew and TRAFFIC, the wildlife trade monitoring network, listed Taiwan as having the fourth-largest number of reported shark catches in the world after Indonesia, India, and Spain. Those four account for more than 35 percent of total global landings. The demand for shark fins, meat, liver oil, and other products has driven some populations of these animals to the brink of extinction. 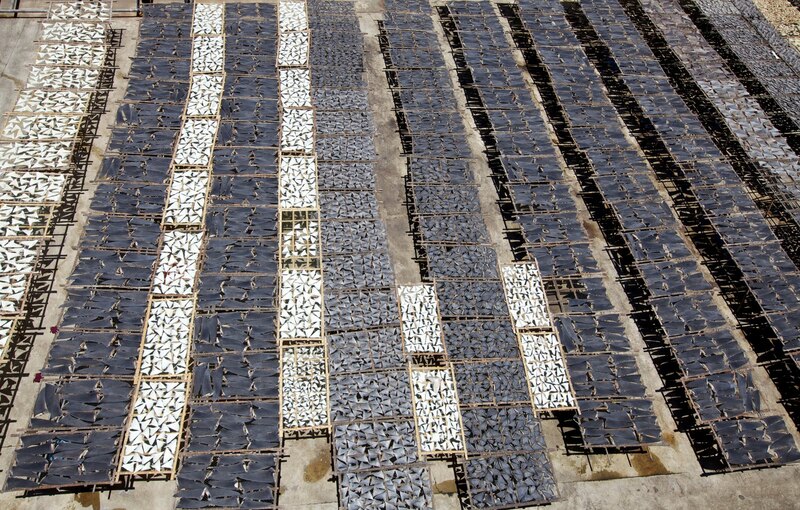 Up to 73 million sharks are killed annually to support the global trade in their fins. The International Union for Conservation of Nature assessed in its Red List of Threatened Species that 30 percent of shark populations around the world are Threatened or Near Threatened with extinction. Since sharks are top predators, their depletion also has risks for the health of entire ocean ecosystems. “This strip-mining of the world’s sharks is clearly unsustainable, and governments need to act now if these predators are to swim the world’s oceans in the future,” said Rand. There are only 4 days remaining to sign the White House petition to ban the sale, trade, and possession of shark and shark products, including shark fin. We only need 1,000 more signatures to send shark conservation to the White House. Once we get these signatures, the Obama Administration will issue an official response to our petition. We understand that signing this petition takes longer than most online petitions. The White House requires that you create a profile and confirm your email address before signing, but this is because they want to make sure you are a real person. This process takes a few minutes, but it will be worth it once we reach our signature goal. WITH the high commercial demand for shark products, tax incentives is also said to be among the major factors strengthening shark trading in Fiji. 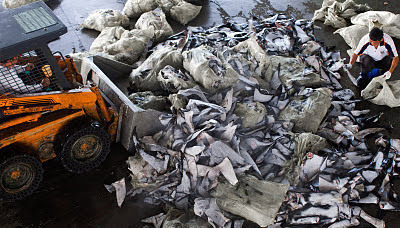 Angelo O'Connor Villagomez, the global shark conservation senior associate with Washington-based Pew Environment Group said Fiji had been the hub of trade for shark products, particularly shark fins a delicacy for Asian countries, particularly China, Hong Kong and Taiwan. Mr Villagomez said one of the reasons was Fiji's geographical location "and that it is cheaper to fish here". He said Fiji had also had tax incentives that had attracted companies to set up here. "Companies are fishing for tuna but they are catching sharks as a by-catch," Mr Villagomez told The Fiji Times last night. He said the shark population was threatened because of the high demand from Asia. "The real problem is the demand coming from Hong Kong," he said, adding there was not much value in Fiji. "What I don't want to happen is for Fiji to think that shark fishing is a long-term sustainable fisheries. He said a study in 2006 found that between 26 million to 73 million sharks were killed that year. Partnering conservationist organisation Coral Reef Alliance assistant director for conservation programs Jason Vasques said while the economical value for shark was significant, their ecological value must also be considered. "Our role here is to raise awareness on the importance of sharks to coral reefs. Without sharks, you tend to have a less healthy reef," Mr Vasques said. "If sharks help maintain healthy reefs, it protects the infrastructure, the coastlines and also promotes a healthy reef that will also attract tourists here," he said. Mr Villagomez and Mr Vasques are in the country on their second visit to meet counterparts in locally-based non-governmental organisations (NGOs) and relevant government officials in their bid to assist local initiatives in protecting sharks in our waters. The duo was in Fiji in February early this year. "We want to support the government in its attempt to protect sharks," Mr Villagomez said. He said they wanted to see Fiji become the first Melanesian country to declare its waters as a shark sanctuary, and the world's second largest sanctuary. 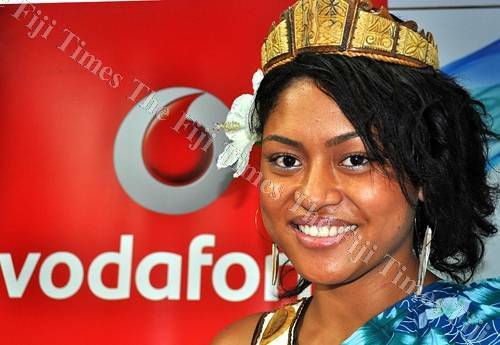 Written by Timoci Vula and published in the Fiji Times on Monday, October 17, 2011. FIJIANS should stand by neighbours in the central Pacific to ensure long-lasting protection for sharks, says Sharkman Manoa Rasigatale. The veteran campaigner made the plea as the Republic of the Marshall Islands became home to the largest shark sanctuary in the world last week. The Marshall Islands joins Palau, Honduras, Tokelau, the Maldives, and the Bahamas in prohibiting the commercial fishing of sharks in their nation's waters. Its new legislation officially bans the commercial fishing of sharks in all 1,990,530 square kilometres of the Marshall Islands waters, an area equivalent to the size of Mexico. "Fiji is home to a high diversity of sharks and many of these species are threatened with extinction globally," said Mr Rasigatale, a member of CORAL's Fiji shark sanctuary campaign team. 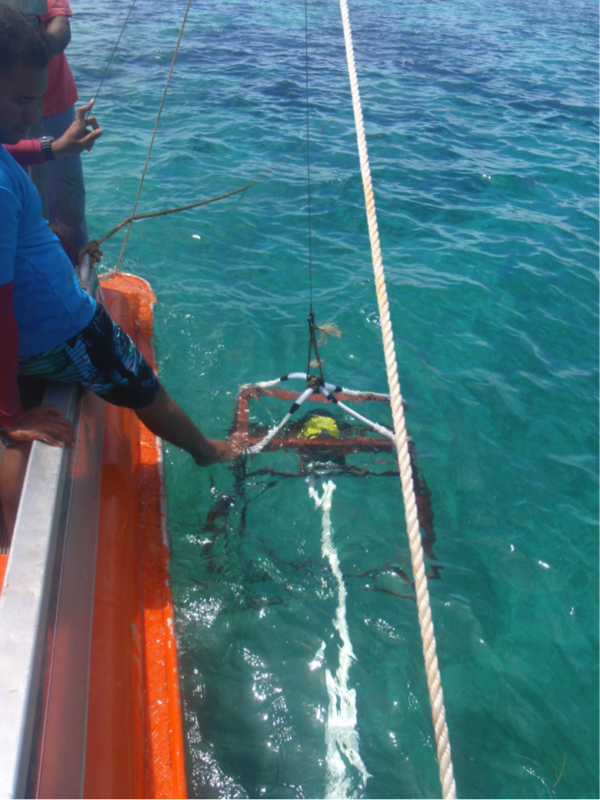 The Coral Reef Alliance (CORAL), in partnership with the Pew Environment Group and the Fijian Department of Fisheries, is championing new legislation for Fiji. Through a targeted campaign determined to raise local support for a designated shark sanctuary, the team is educating communities in Fiji about the importance of sharks to both their history and their economy. "We salute the Republic of the Marshall Islands for recognising the importance of healthy shark populations to our oceans," said Matt Rand, director of global shark conservation for Pew, in a statement. "The momentum for protecting these animals continues to spread across the globe, creating greater areas where they can thrive without the threats of commercial fishing." 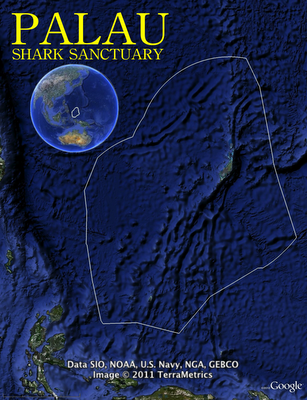 CORAL said, in a press statement, that it was determined to raise local support for a designated shark sanctuary. 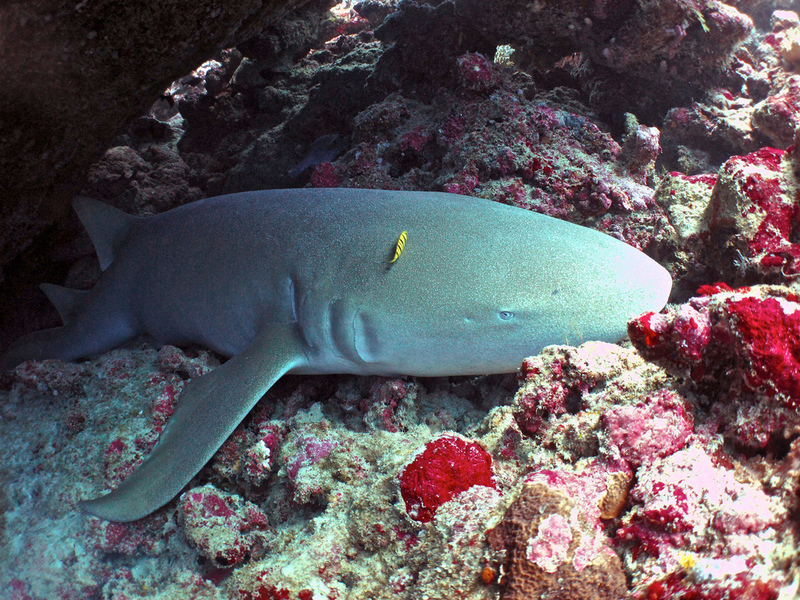 The Department of Fisheries is expected to draft legislation soon to make Fiji the first Melanesian country to approve comprehensive protection for sharks before the end of the year. Up to 73 million sharks are specially killed annually for their fins, a much sought-after delicacy in China, Hong Kong and Taiwan. By Ilaitia Turagabeci. Published in the Fiji Times on Monday, October 10, 2011. OUTSTANDING video from CNN on the recently declared Marshall Islands National Shark Sanctuary. Includes an interview with Philippe Cousteau. And it is time for the United States to do something similar. Shark Defenders started a petition on the Obama White House website that calls for a "ban the sale, trade, and possession of shark and shark products, including shark fin." 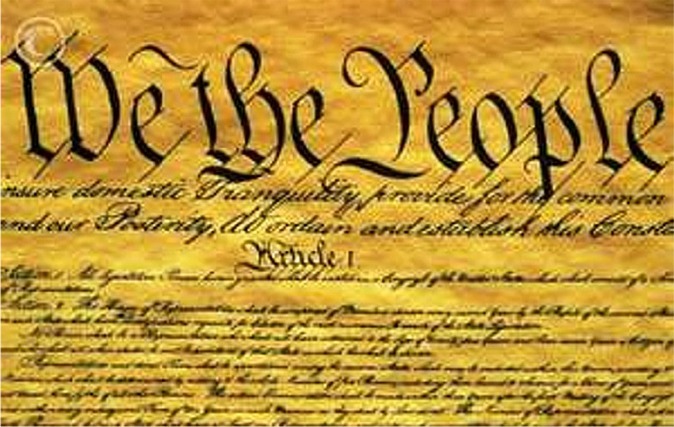 As of this writing it needs 1,644 more signatures to reach the level that will guarantee a response from the president. Most sharks do not breed until they are between 5 and 15 years old, and usually only once every year or less often. Most of the sharks found in Fiji give birth to between 2 and 10 live babies at a time. Because of this late breeding age and small number of babies born, sharks are very vulnerable to overfishing, being slow to replace their numbers once killed. Some sharks give birth to live young (Viviparous), some lay leathery eggs (Oviparous), and some reproduce in a mixture of the two methods, where eggs form but are kept inside the mother's body until they hatch and are born (Ovoviviparous). Sharks are the top of the Food Pyramid. As "Apex predators" they eat second level predators and thereby control the entire natural ecosystem. Without sharks to hunt second level predators, the ecosystem becomes imbalanced, and eventually coral reefs die, and fish stocks disappear. At least 35 species of shark are found in Fiji's coastal and near coastal waters. The most common ones are quite easy to tell apart. Rounded nose, white tip on dorsal fin (back fin) and tail fin. Small; largest around 2 metres long. Found on or near shallow coral reefs. In daytime rests on sandy slopes and caves, sitting motionless. At night feed on crabs, lobster, octopus and fish sleeping in holes in the reef. Feed on shrimp, octopus and small fish. 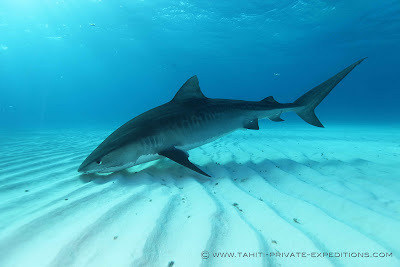 Are sometimes eaten by large groupers and other sharks. Gives birth to 2 to 4 live babies. Sharp nose, plain grey dorsal fin (back fin) and pectoral fins (side fins), black edge to tail and smaller fins. Medium size; largest around 2.5 metres long. Found in deeper reef passages and walls, females often in small schools. Feed on crabs, lobsters, octopus and small fish. Gives birth to 1 to 6 live babies, which stay in nursery grounds for some months. Round nose, two plain grey dorsal fins (back fin) and pectoral fins (side fins),very long top lobe on grey tail fin. Large; largest around 3.2 metres long. In daytime found resting motionless in shallow reef passages and caves, sometimes in groups. At night feed on corals, crabs, lobster, sea urchins, octopus and small fish sleeping in holes in the reef. Found in bays and estuaries, often in cloudy water, swimming slowly. Feeds on bottom feeding fish such as porcupine fish and stingrays. Give birth to 1 to 13 live babies. Found in deep water inshore and offshore, often seen in deeper reef passages. Feeds on midwater and bottom fish, tuna, wahoo, eagle rays, octopus. Give birth to 1 to 11 live babies. Sharp nose, plain grey dorsal fin (back fin), pectoral fins (side fins), tail and smaller fins, thick bodied. Large; largest around 3.4 metres long. Found on deeper reefs, shallow estuaries, river mouths in cloudy water. Feeds on many species including other sharks, dolphins, rays, reef and midwater fish such as walu, tuna, snappers, jacks and tuna, seabirds. Gives birth to 1 to 13 live babies, often many kilometres up river. The only shark to be found in completely fresh water. Sharp nose, plain grey dorsal fin (back fin), pectoral fins (side fins), tail and smaller fins, thick bodied. 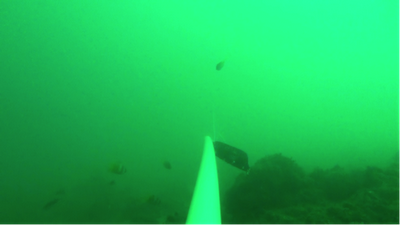 Younger sharks show dark grey bars on sides. Very large; largest around 6 metres long, unconfirmed sightings up to 9 metres. Found in deeper ocean and steep reef areas. Spends days in deeper water. Feeds at night in shallower water on many species, Has been seen to consume other sharks, dolphins, seals, turtles, sea snakes, rays, fish, seabirds, dead and live land animals, and even non-edible items such as metal, wood, and plastic. Give birth to 10 to 80+ live babies. Published in the Fiji Times on Monday, October 3, 2011. Written by Helen Sykes, Manager of the Coral Reef Alliance and Pew Environment Group shark campaign in Fiji. The photos in this story were all donated by people like you. Shark Defenders depends on the generostiy and support of underwater photographers donating royalty-free photos for our use in online and print media. If you have the rights to high quality photos of sharks, please consider donating them for our use. 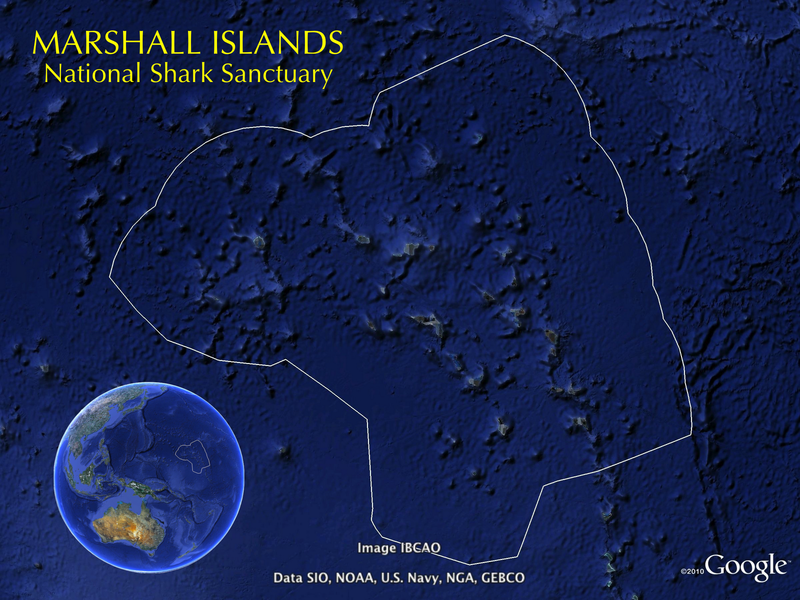 The Republic of the Marshall Islands is now home to the world’s largest shark sanctuary. The Nitijela, the Marshallese parliament, unanimously passed legislation this week that ends commercial fishing of sharks in all 1,990,530 square kilometers (768,547 square miles) of the central Pacific country’s waters, an ocean area four times the landmass of California. A complete prohibition on the commercial fishing of sharks as well as the sale of any sharks or shark products. Its zero retention stipulation requires that any shark caught accidentally by fishing vessels must be set free. Large monetary fines, anywhere between US$25,000 to US$200,000, for anyone who is found to be fishing sharks or in possession of shark fins. In addition, violators would be fined the market value of the product in their possession. A ban on the use of wire leaders, a longline fishing gear which is among the most lethal to sharks. A monitoring and enforcement provision which requires all fishing vessels to land their catch at one of the country's ports and bans at sea transfers. This week’s action was initiated in March of this year when the Marshall Islands Marine Resources Authority issued a moratorium on the shark trade. It was furthered in June, when President Jurelang Zedkaia joined other central Pacific leaders in setting the stage for the creation of a Micronesia Regional Shark Sanctuary, the first regional shark conservation agreement of its kind. In July, the Marshall Islands Mayors Association moved to make this vision a reality by passing a resolution that called on the 24 inhabited atolls throughout the Marshalls, each with its own local government, to enact ordinances prohibiting the sale and trade of sharks or shark fins. In addition to deBrum, Senators Michael Kabua (Kwajalein), Jeban Riklon (Kwajalein), David Kabua (Wotho), Jerakoj Bejang (Lib), and Dennis Momotaro (Mejit) cosponsored the enacted legislation, which also bans the sale, trade and possession of sharks, shark fins, or any other part of shark.